Key, clockwise beginning upper left corner: Paul Robeson, All-American football player at Rutgers University; Robeson, Phi Beta Kappa laureate, Rutgers, 1919; Robeson as Othello in New York production, 1943; Robeson leading Anti-Lynching Campaign in front of statue of Abraham Lincoln, Washington, D.C., 1946; Robeson leading Civil Rights protest in front of the White House, Washington, D.C., 1948; and the cover of The Undiscovered Paul Robeson, Vol. I, by Paul Robeson, Jr., published 2001. Please answer ONE question only, and label your answer with the question number. 1. 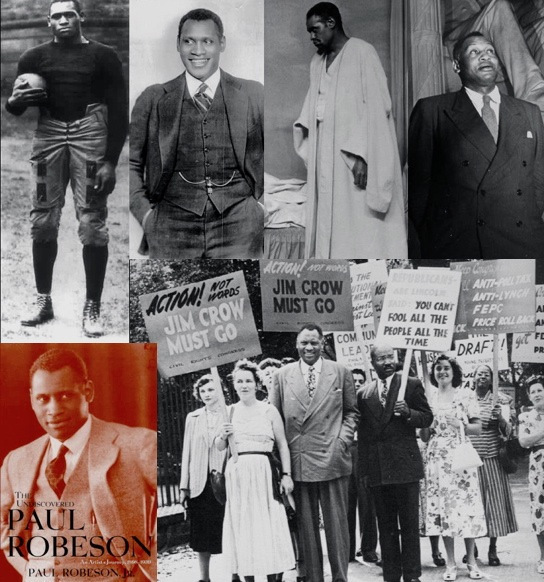 What do you find most compelling or surprising about Paul Robeson’s life? 2. 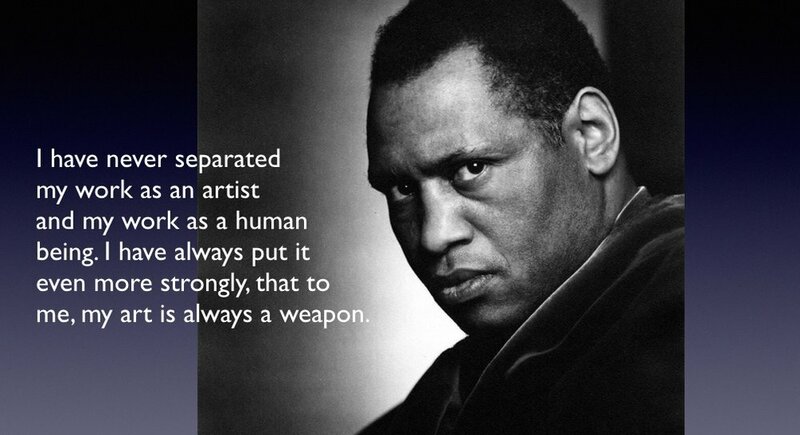 Why do you think the story of Paul Robeson’s life has been successfully kept hidden all these years? 3. What specific connections to other material we’ve covered so far this semester can you articulate? 4. In what specific ways is the story of Robeson’s life relevant to your life? 5. In what specific ways might the story of Robeson and the times he lives in similar to specific things going on in the United States right now? 7. To what extent was the information about Mr. Robeson and related events such as the alliance between the Soviet Union and the United States; the Cold War; and McCarthyism, the true nature of lynching in America, segregation in the US Army, and other topics new to you? AND: Do you think you might be more inclined now (after having been part of DEARTS this semester), to take time to learn more about historical or present-day events and ideas in the future? 8. What human beings of the past or present (from any country at any time) would you say measures up to Robeson, in terms of his successes in academic/scholarly achievement, athletic accomplishments, stature as a singer and as an actor, and his work as a champion of human rights? 9. I forgot to mention above: if you want to comment on the introduction I made in which I told the story of how my family came to this country, and explained my personal connection to Paul Robeson-- you are welcome to do so. This post opened at about 8:30 pm on Thursday. It will be open until 10 pm on Monday, March 19. FYI: This blog post is for students assigned to write about this class. Another blog post, about your opinion on iconic people and their human failings, is now available for comment by ALL students.